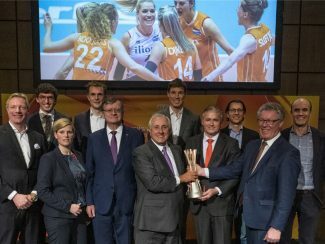 Arnhem, Netherlands, January 31, 2019 – FIVB President Dr. Ary S. Graça F° joined the National Volleyball Federation of Netherlands (NEVOBO) and senior Dutch government sports officials on Thursday to present the concept for the 2022 FIVB Women’s Volleyball World Championship. 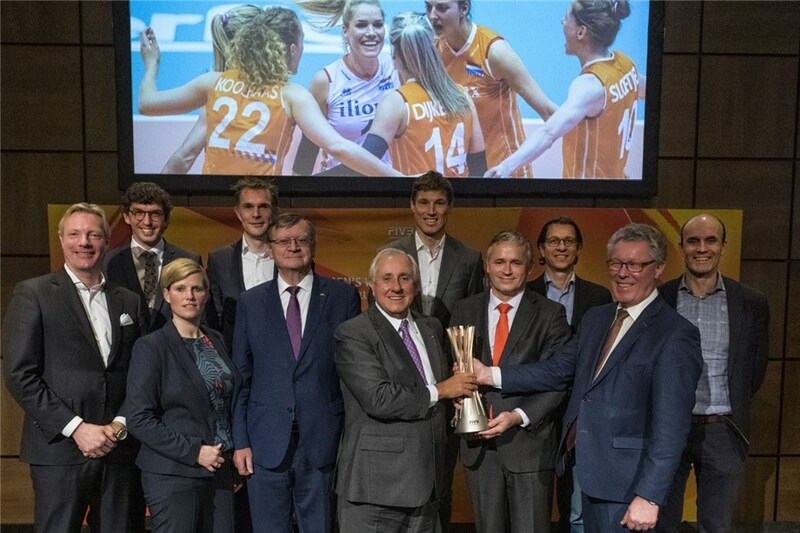 After the Netherlands and Poland were announced as hosts of the prestigious FIVB event last month, the FIVB President was delighted to talk to Dutch media and sponsors about his vision for the event. 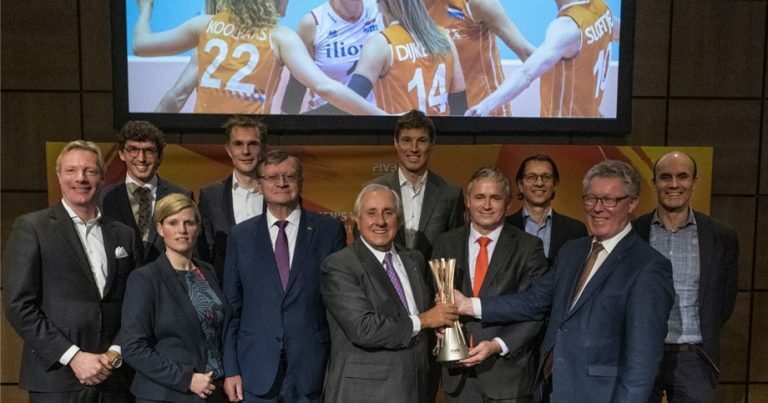 He was joined by the FIVB 2nd Executive Vice-President and CEV President, Aleksandar Boricic, as well as representatives from Dutch sports organisations and the host cities of Arnhem, Apeldoorn and Rotterdam. 2022 will be the first time that the Netherlands hosts the FIVB Volleyball World Championship. The country has already proved its great hosting credentials when it staged the incredible FIVB Beach Volleyball World Championships in 2015. “The Netherlands is a country full of initiative, full of intelligence and innovation – that’s what we are also aiming for every day at the FIVB. The 2015 Beach Volleyball World Championship was a completely different and extraordinary project, successfully realised by NEVOBO. And now, I am very proud to work with the Netherlands again as they co-host this hugely prestigious volleyball event alongside Poland. “The proposal we received from NEVOBO in partnership with TIG was very creative; it captured our imagination. We believe that the event will raise the awareness of volleyball in the Netherlands and inspire future generations to engage with the sport. I have no doubt that the 2022 FIVB Women’s World Championship is going to be a great event for both the athletes and the fans. The project, presented by NEVOBO, will see the first round being held in the province of Gelderland, at the GelreDome football stadium in the city of Arnhem. 24 world-class nations will be hosted across 24 municipalities of Gelderland, ensuring that the whole province becomes a true celebration of volleyball. Later rounds will be staged in Rotterdam and Apeldoorn, as well as in Poland. There is also still potential for other European countries to host some fixtures, if the proposal is in the best interests of volleyball. The finals will be held at the GelreDome. The event will include various social initiatives, such as promoting healthy eating. The event promises to take volleyball throughout the cities and regions of the Netherlands, creating an infectious volleyball culture. As part of the event, the FIVB President officially handed over organisational control of the FIVB Women’s Volleyball World Championship to NEVOBO President Peter Sprenger. Dutch and Polish organising committees will now focus their attention on creating an unforgettable Women’s World Championship for both athletes and fans alike.